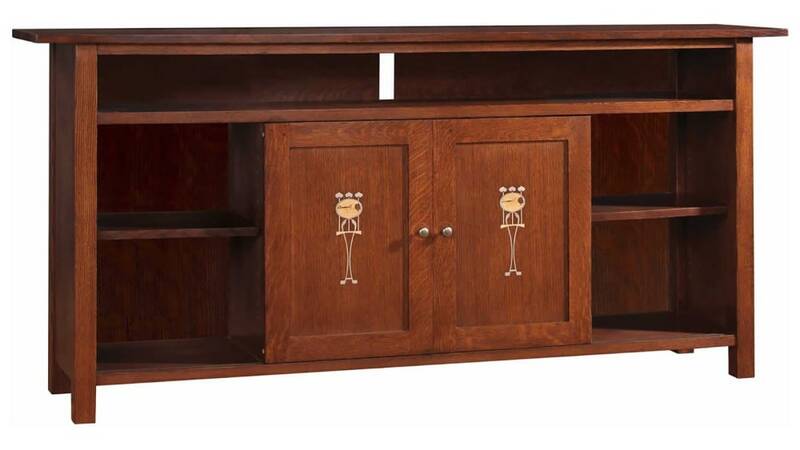 Bring the highest, Made in America quality into your home with this stunning entertainment console. 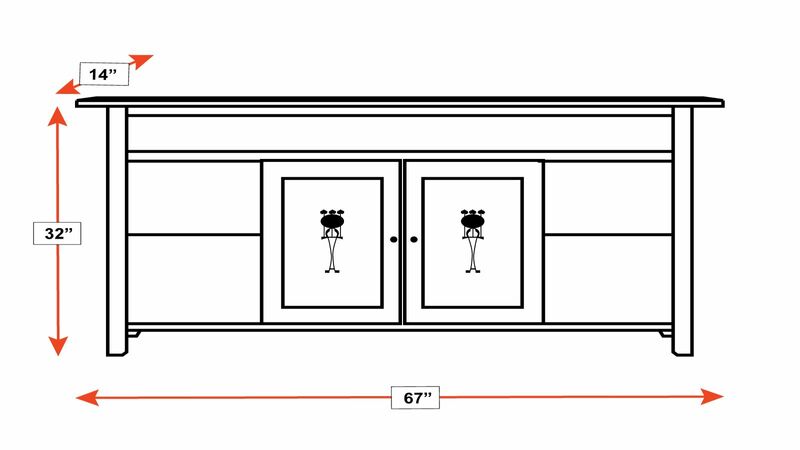 Four adjustable shelves, an electrical power strip, and a back cut-out will help you organize your television and media. 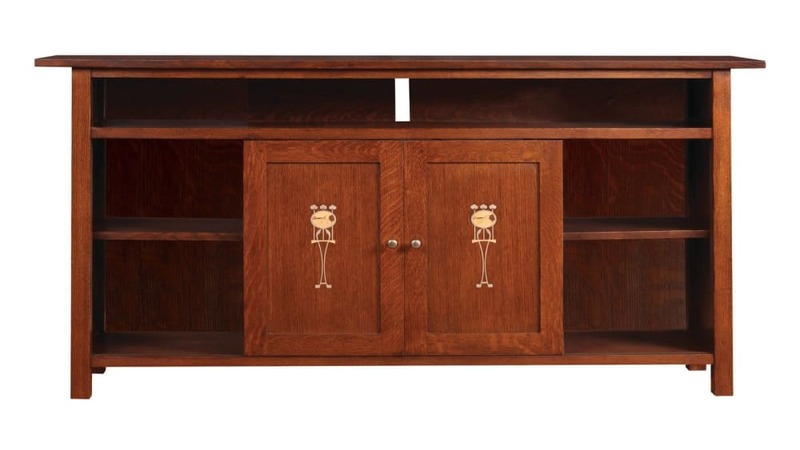 An open console features two sliding doors, with beautifully decorative Harvey Ellis inlay, which consists of English sycamore, maple, cherry, makore, magnolia, and bird's-eye maple. Finishing touches, such as nickel-finished knobs, with copper inlay rings, are artful details that provide a holistic appearance that anyone would proudly add to their home. With Gallery Furniture's amazing, same-day delivery service, you can upgrade your home TODAY!